Puzzle Dust can set up an interactive UV glow zone for events, festivals and parties. 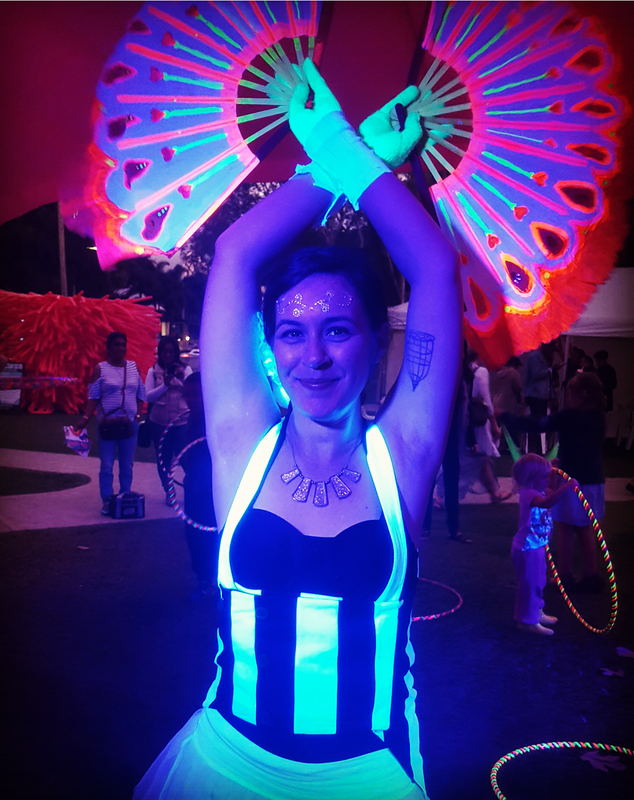 Everything in the glow zone is illuminated, including your host's costume, anything fluro your guests are wearing, most white clothing and all of our circus equipment! The Glow Zone can be targeted towards children and school events or adults and festivals, parties or corporate events. The show content and equipment will vary based on your audience.